Watch us play a bunch of wild holiday-themed games as we restore Kyle’s belief in Santa Claus. For reasons we will never know (and honestly don’t care about), Kyle stopped believing in Santa Claus. Why anyone would stop believing in such a wonderful, caring, and real being is beyond comprehension. We found the perfect game to turn Kyle into a believer again. This strange Santa simulation is just the first of many festive games we play in this episode. We then ask you to turn the lights down low for our final game, which may be one of the scariest things you’ve ever seen. Yes, you’ll see beautiful Christmas trees and stuff like that, but also Rudolph in way you never expected. He’s a cold-blooded killer now, and is working with Krampus instead of Santa! 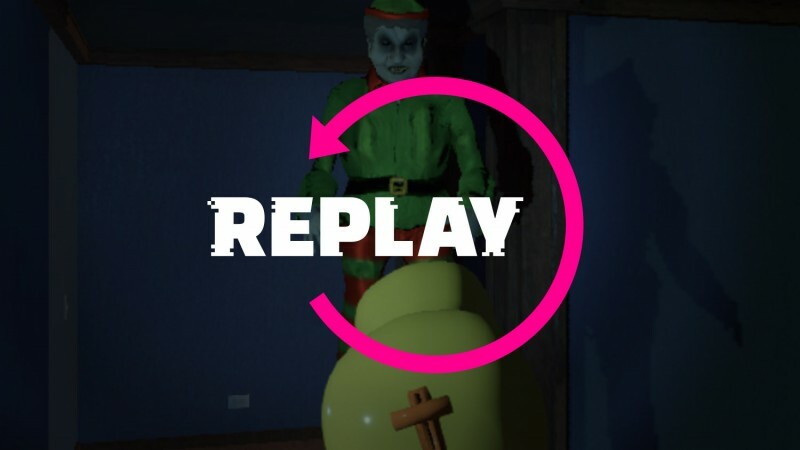 We hope you all have a great holiday season, and we’ll see you in just a few days for our annual December 31 Super Replay!